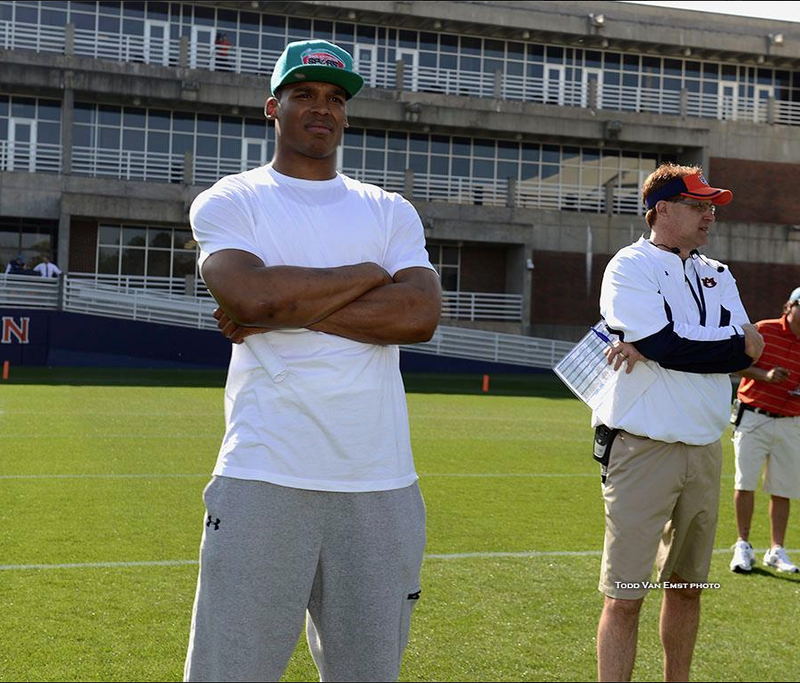 The soft focus, the warm colors… the only thing that could have made Todd Van Emst’s photo of Cam Newton standing watch over Auburn’s Wednesday morning practice alongside Gus Malzahn more pleasant is shoulder pads. 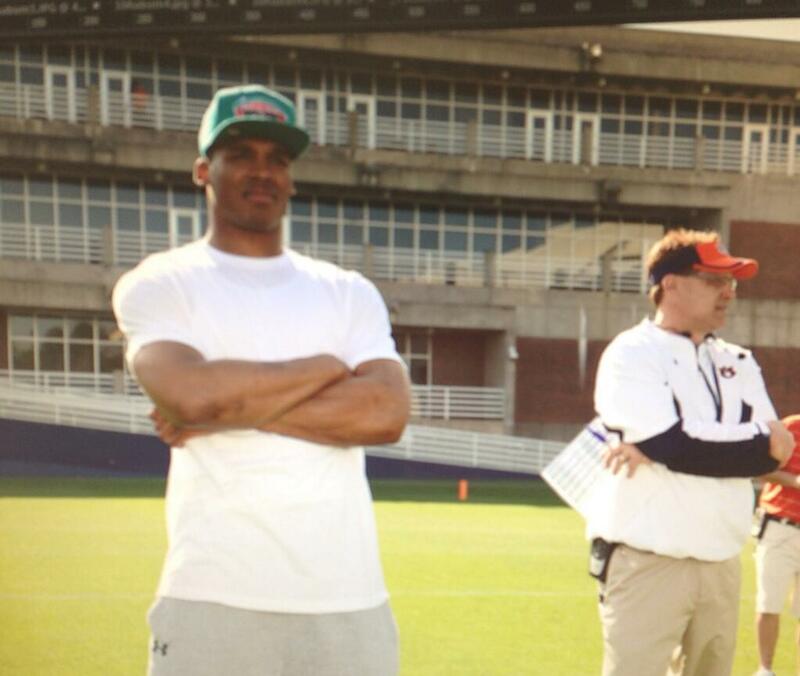 Related: Cam Newton calls Auburn ‘a place that I can always call home for the rest of my life’ in Esquire interview. Dig the hat with the 1990s Spurs logo back when they sported pink, orange, and teal.